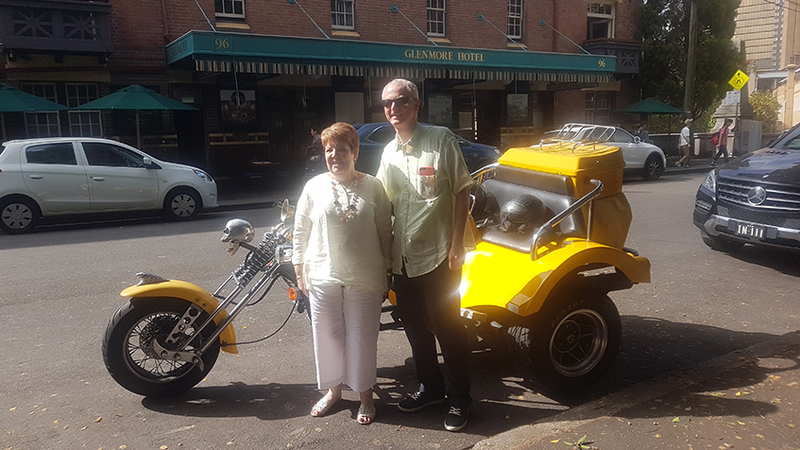 A trike tour in Sydney! We had a great ride with Craig. Christina and I thoroughly enjoyed it. I will look into getting something up on Facebook – don’t use it myself. is just the right thing to do when you are exploring Sydney. We can show many sights in a short length of time. 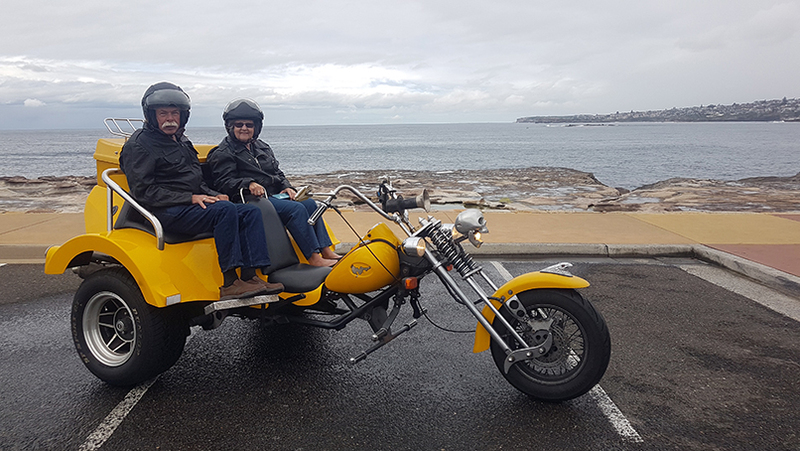 Our passengers are visiting Sydney for the first time so decided to do the trike tour. Craig picked them up from outside the Glenmore Hotel in The Rocks. They rode over the Sydney Harbour Bridge for a look at the lovely views. Looking across Sydney to the Opera House and the city is a beautiful sight. From there, there is a different perspective of the Harbour Bridge. They continued on under the north side of the Harbour Bridge. Next was a look around North Sydney. The tour continued as they rode back over the Harbour Bridge. They rode via Macquarie Street to Mrs Macquarie’s Chair. This is part of the Domain precinct which is on Macquarie Point. is stunning. You look westward towards the Opera House and the Harbour Bridge. Then they rode past Andrew (Boy) Charlton Pool to Woolloomooloo. 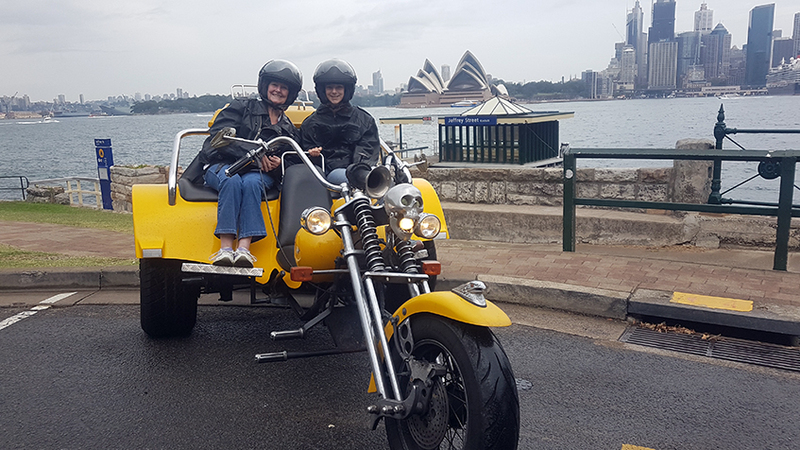 The trike tour in Sydney came to an end far too quickly, however, it is a great experience and a good way to see some of the major sights. We do all different length tours. Depending on what you would like to see can depend on the time frame you choose. The Glenmore Hotel was built by Brewers Tooth & Co in 1921 and is one of the last surviving pre-Harbour Bridge buildings on Cumberland Street. The site is known to have been occupied from the early years of 1800, although it is likely that, like the other ridges of The Rocks, it was occupied by the encampment of settlers in the first weeks of the arrival of the First Fleet in 1788.